The most successful of Hašek’s themes have been adapted and presented in five samples. With three separately adapted chapters, Jiří Trnka began his work in 1954. Thirty years later his work was reflected by Stanislav Látal, who created a programme of nine. The work of both directors was based on Josef Lada’s artistic conception and they also tried to fit in with Hašek’s narrative style. From its beginnings, Czechoslovak animation has proceeded from illustrated models. Thanks to the quality of Czech illustration, the static image’s transference to dynamic film form has became the subject of many filmmakers‘ research and films; among others Eduard Hofman, Jiří Trnka and Josef Kluge. Two decades after Jiří Trnka’s A Midsummer Night’s Dream (1959), this was only the second Czech feature puppet film to originate in the Jiří Trnka Studio. Along with Stanislav Látal, Jiří Kubíček also collaborated on this script of Defoe’s novel. They managed to give Robinson Crusoe a certain impracticality, a sense of being in a quandary and an especially distinctive sense of humour. Thanks to a wave of short animated films in the form of TV bedtime stories (or any other series) in the 1970s, animated characters became generally popular. The animation boom overlapped its medium and expanded into literature, newspapers, etc. The block From Animation to Illustration will introduce films that can be rightfully considered as the main representatives of the theme. The immortal story Monkey King, interpreted by the Czech artist and illustrator Zdeněk Sklenář, was introduced through a spatial installation at EXPO 2010. His unique style connecting eastern and western artistic traditions has met with success in China in recent years. 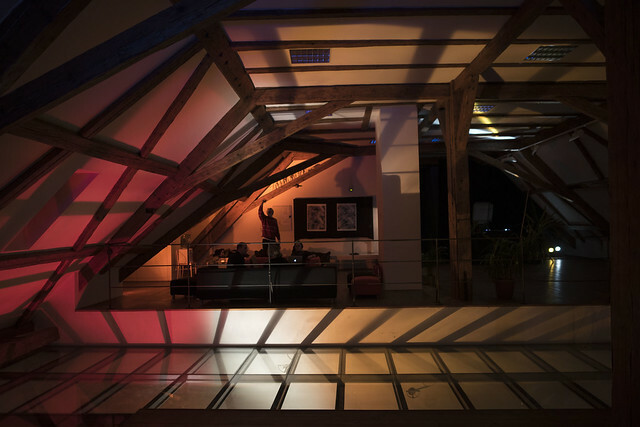 For the Zdeněk Sklenář Gallery, the multimedia installation was implemented by studio pixl-e and Kvas. In the feature film The Little Witch, Zdeněk Smetana’s directorial and artistic talents were interconnected. The visual conception of the animation corresponds to the filmmaker’s lifelong, however unintentional, concentration on the audience. Besides the feature film version, a series of the same name was produced and its first episodes were screened on Czechoslovak TV in 1984. TV: During a conducted tour of the Josef Lada Memorial in Hrusice, it seemed to me that the horse in one of his paintings was not holding the handle of the hay-barrow, but something else. What happened exhilarated me; the fact that you can perceive things differently from the way in which they are presented and shown to you. Because I was looking wrongly, I was able to see the object in a “perverse” way. Later, I went through hundreds of Lada’s paintings trying to once again provoke that situation. KZ&DL: We follow the story which originates live, under the control of a projectionist and a musician. The image with elements of cutout animation, photographs, texts and drawings originating in real time consists of sound that interconnects acoustic instruments and the spoken word with electronics. In 1965 the character of Večerníček, the boy in the paper hat, appeared on the screen of Czech Television for the first time. Since then the programme has kept its eminent position and as such it has helped the Czech animation boom. Through this screening, such fairy tales as Rumcais the Robber and Fairy Tales of Moss and Fern originated. The visual artist Jiří Havlíček is, in the long term, dealing with the animation and tracing phenomenon; his motto could be the collocation “inspirational dilettantism”. It is a partly improvised DJ set composed of personal samples as well as found theories. The lecture will mainly deal with the project Transferred Image that was prepared by the author for this year’s festival. The block focuses on the animated films on which Lada directly collaborated. In one case as an artist, in two cases as an author of the artistic as well as the literary model. By means of his work Lada created a world full of idyll and beauty; filmmakers strive to either preserve it without any change or to experiment with the author’s typical stylization and unified composition. The first Czechoslovak animated feature film. On the basis of the French caricaturist Jean Effel’s modes, the director Eduard Hofman made a slightly grotesque version of the Biblical story about the origin of the world. The audience can look forward to the famous Eve’s rock’n’roll with the Devil and Jan Werich’s multilayered commentary. This film introduces future significant authors such as Zdeněk Smetana, Josef Kábrt, Jaroslav Doubrava and Josef Hekrdla.